I’ve got to admit, it’s a bit strange writing an informative blog post. I’m used to sticking on updates about how training’s going (or not going!) and what’s been happening as I raise money for my charity. But this is a little different today so you’re going to have to bear with me as I scratch around for a decent introduction. This post is, essentially, about the benefits of Rocktape, and how I feel it has helped me get to where I am now. But to write that, I’d better fill you in on ‘where I am now’! I’m 20 and I’ve always felt a bit of a need to keep fit, since I was a young child – probably down to the fact my mum always made sure to keep up a routine of gym work and healthy eating herself. Naturally, when I was very young, it was a case of everywhere mum went I went – there’s a picture of me pretending to use the sit up machine aged 5! At about 14/15 I enjoyed running a mile or two, but only to keep in shape for riding (we’ve always had horses and I’m now a riding instructor). I don’t think I really considered ever being a ‘proper’ runner. But then, two years ago, I went for a run and got lost (anyone who reads my blog will know what a diabolical sense of direction I have). I’m never one for stopping during a run so I just kept running….and running until eventually I managed to work my way back to where I started. When I had a look at a map and finally figured out where I’d been, I realised I had run about 6 or 7 miles. This was something of a miracle to me! How on earth could my body manage such a thing – I’d never even considered it would be able to! You see, my idea of a training program was to do as much as possible, as fast as possible, for as long as possible…as often as possible. And as someone who hadn’t done all that much running, and whose joints and muscles were pretty much healthy and undamaged, my body tolerated that sort of training for a few months. But then my left knee started getting sore on runs. It was an odd sort of pain that, at the back of my mind, I knew wasn’t the good type of pain. You know, the sort that makes you stronger. It was the bad, destructive type. But I’m sure you can guess what I did about it… Yup, nothing. I carried on running as though it was just the ‘good pain’ and it would get better. Of course, it didn’t. 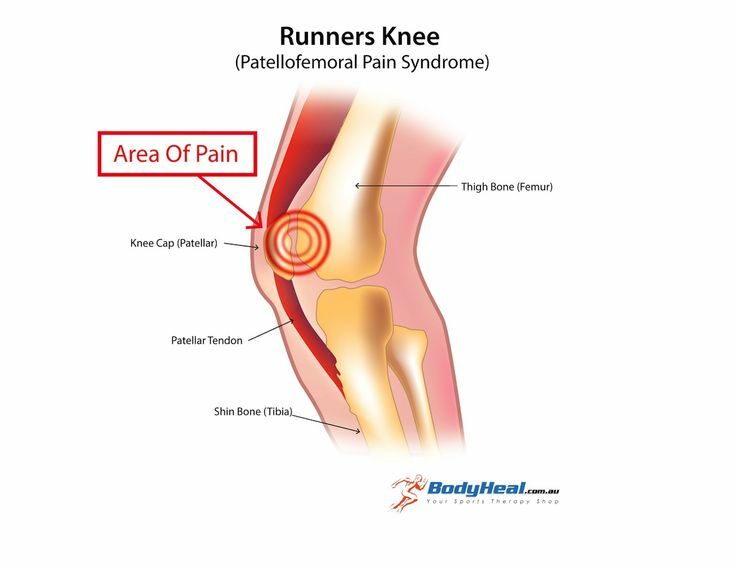 It was runner’s knee (or anterior knee pain) caused by sharply increased training and excessive force from pounding tarmac too much. As the pain got too much to handle on a run, I was forced to stop running and, because I had no idea what it was (I was yet to be introduced to the world of ‘runner problems’!) I started to think I wasn’t going to be able to run again. I was going to have to give it up. I’m the sort of person who takes quitting very very personally and the thought of giving up running was soul destroying for me. It had become my go-to, my ‘thing’, over the past few years, even if I hadn’t been doing all that many miles. 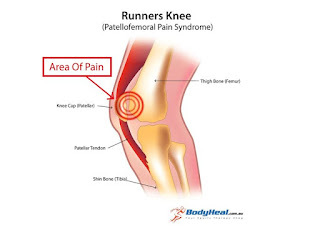 However, I was eventually persuaded to go to the doctor who could tell me it was runner’s knee and it was fairly common. Aside from this, the doctor really wasn’t much help, but with the power of Google on my side, I realised I could carry on running! But I needed to rest it and be more careful in future. It was while I was finding ways of managing the knee pain I was told about Rocktape. A sports therapist I knew told me about this tape which was helping all sorts of injuries in a multitude of athletes. A client of his was a weightlifter and had torn the pectoral muscles across one side of his chest. The area was obviously showing heavy bruising and was taped in such a way to help support the muscles so they could heal quicker. When the tape was removed, the areas it had been taped to were free from bruising; testament to the fact the tape increases blood flow and speeds up the healing process. I was impressed by this and promptly started looking for taping techniques for runner’s knee. It didn’t take much looking and so, as soon as I could, I ordered a roll of Rocktape and taped my knee for a run. A month later I had no pain at all – I couldn’t believe it. The way I put the tape on basically kept my knee cap from grinding against the thigh bone underneath (which is all runner’s knee actually is) and helped it slide up and down like it should. The tape didn’t restrict any movement – in fact, once it was on, I didn’t even know it was there. But the difference it made over the long term was incredible. So I could run again! And I’d set my sights on a half marathon in the Spring (it was early winter by this point). But, not being the sort to learn from a mistake, I went on to train too hard with no good structure over the next few months. 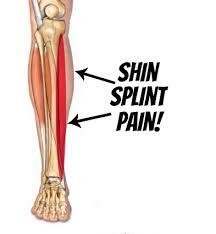 By February I had shin splints developing in my right leg. Again, it took me getting to the point where I was sitting on a grass verge a mile from home, crying and asking my leg “WHY? !” before I went to see someone about it. The physio quickly told me I needed to start training properly, with a structure, where I have one fast run a week. Not four. I did this and began taping for shin splints, and I got through the half marathon in 1h52m which wasn’t bad considering. The shin splints, I now know, come from weak ankles and tight calves – both of which I can do something about. Now, I’d been told ‘if you can run 15 miles, you can run a marathon’, and this sounded like a challenge to me! So, with the confidence you get from completing something you thought was impossible not all that long ago, I decided to start running for a charity. Â I chose the Loch Ness Marathon and Combat Stress as the charity. With this in mind, I was determined to start training properly. I put together a training structure of 1x easy, 1x fast, 1x moderate and 1x long, a few simple knee strengthening exercises and a little in the gym. Rocktape had quickly become an absolute necessity for me and it was to get me through this marathon training as well. I’d now been taping my knees for runs for 6 months and I was finding I could do short runs or easy runs without it since the muscles around the knee had strengthened up. My shins no longer gave me any pain either. By the time the marathon came around I didn’t need the tape to alleviate any pain, I simply had it on as a preventative measure, and finished in 4h13m. But now what?! The marathon was fantastic. It wasn’t just an event.Â It was 5 months of constant preparation, ups and downs, learning about yourself and your body…and changing I suppose. You know all the cliches: ‘getting in touch with yourself’, ‘becoming a better person’, and my favourite – ‘finding yourself’ (what does that even mean?!) but actually, to a certain extent, it’s all true and marathon training lets all that crap happen! But then you’re kind of….in no man’s land. I had no idea about this thing called ‘the post marathon blues’. But my God, I do now! I was very very down and I had no idea why, but everything seemed wrong and pointless and I didn’t know what to do with myself. I knew I wanted to carry on fundraising because I really believed in the cause and doing it seemed to give me a bit of purpose, but I needed something to aim for. I couldn’t do another marathon – if I was going to ask people for money, it had to be for something I wasn’t sure I’d manage, and everybody else wasn’t sure I’d manage! So I did what I always do and started Googling. It was while doing this I came across the Mount Everest Marathon – highest marathon in the world. Now that sounded hair-brained and impossible and reckless enough to make me excited! I’ll do that, I said to myself. But Shauney, logic said, you’ve got to have done mountain marathons and ultra marathons and have experience.Well then, I’ll get experienceÂ then I’ll do it. I stubbornly would not back down from the idea in my own head. The internal argument lasted approximately 3 minutes before I fully committed myself to the idea – I really just wanted to have my mojo back! For about a month, I hadn’t been sticking to any sort of training plan – I didn’t have anything to train for! But I was starting to get frustrated at what I saw as ‘laziness’ in myself – I’d run anything from one to four times in the week with no rhyme nor reason to it. I knew now I wanted to do the Everest Marathon in a couple of years, and I knew I needed to do an ultra marathon to at least show the selectors I could do a serious distance. A lethal combination of frustration, a glass of rum and Coke, and access to the internet led me to enter the Glasgow to Edinburgh 55 mile ultra marathon based purely on the fact it let 20 year olds in and it was in Scotland. The next morning I was almost deep breathing into a paper bag. 55 miles?! What the hell was I thinking?! It was 6 months away and I’d only done one marathon! I was feeling like throwing up and cursing myself like never before but I was determined I wasn’t going to back down from it – I’d said I would do it so I would. However, I was foolhardy enough to think I could whack my training right up because it had only been a month since I’d done a marathon so surely I’d be fine. Wrong. I set my training to 50 miles of running plus hours more on strength work and neglected to ensure my food intake met the increase. Two weeks in, my shins flared up badly and I had to bring training back down. As time went on, a pattern began to emerge. I would train hard for one or two weeks then be forced to spend the next one or two weeks recovering. First it was the shins – I gave them a rest then taped again and they came back – then a stress reaction in my foot, then illness and so on… Unbeknown to me, I was being forced into the sort of program I really should have been on. Two weeks of training followed by one lighter week. But, as I was oblivious to this, I was just growing more nervous, frustrated and disheartened as the weeks ticked by and I saw myself getting closer to the ultra. I was so so close to pulling out – I even emailed the organiser to see how late I could let them know! But some dumbass, foolhardy part of me kept me from pulling out altogether. By February time, I was barely making 40 miles on the heavier weeks before some injury caught up with me and the next week would be 20 or so miles. My speed was going down and down as well which I hated! I had this idea of ultra runners being these super humans doing 60+ miles a week and managing fast runs of 6 minute miles or something and, like most folk, I was beating myself up over it. On one of my ‘icky’ weeks (can’t remember if I was ill or injured!) I took to Google again to try to find some comfort. I told myself I was looking for the hard facts but really I was looking for someone to tell me it was all okay! I almost cried with relief when I read one blog by an experienced ultra runner who wrote, quite frankly, you can do a 50 mile ultra straight off the back of normal marathon training. All you need to be able to do is two back to back 20 mile runs and one 30 miler. It won’t be pretty but, as long as your doing around 40 miles a week (normal marathon training for most), you’ll manage the 50 miles. It was going to be alright!! Google said so!! And so that’s what I did: two back to back 20 mile runs and one 30 miler a couple of weeks later. By this time, my knees, shins and tendons on both ankles were taped due to injuries accumulated in the prior weeks but, you know this, nothing flared up! The training I had thought unfit for anything had actually been doing something! Sure, I was pretty dead after the two 20s and the 30 (especially the two 20s) and trying to exercise in the days after them left me shaky and sick (not advised!) but I had hope I would actually manage the ultra! I was now eating a lot more as I was in the gym a lot, even when I couldn’t run so much, and this was leading to something I hadn’t even considered. Fat gain. Basic logic tells you that running more will mean you lose fat, but this isn’t the case. The long miles at a slower pace meant my body had converted to storing fat a lot quicker. Of course, it’s the most sensible thing to do – fat contains the most energy. The more I read, the more I discovered about this, and it really is amazing how the body adapts. 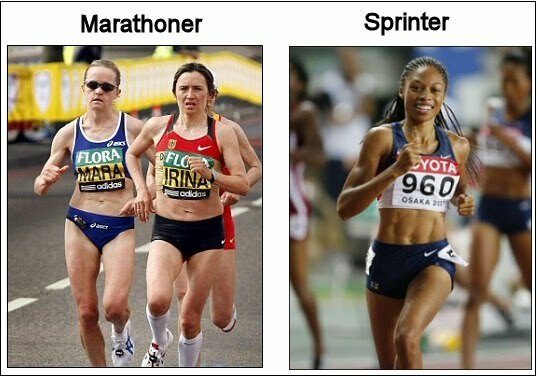 You just need to look at marathon runners compared to sprint runners – their bodies are entirely different because they use different energy sources. A marathon runner needs a lot of energy but over a very long period of time. Fat is the best thing for this. Whereas sprint runners use the glycogen stored in their muscles to fuel short, intense bursts of energy. By the time race day came around, I was definitely carrying a few extra pounds on my hips and tummy! I had mixed feelings about this. Without opening up an entire new blog post on body image, let’s just say I wasn’t keen on the physical gain! But I was relieved my body was adapting in the right way, and knew I was in the best position now to do the ultra without hitting a fuel crisis! It was Sod’s Law that the three weeks of tapering before the race were filled with non-running related injuries! The two worst were a horse kick to my thigh which put my knee out and made things very difficult, and a horse standing on my foot and bruising it so badly I couldn’t even run a mile just one week before the race! I wasn’t even mad, it was hilarious by this point. I’d given up getting frustrated or nervous. I just thought, I’ll get on the train for Glasgow, I’ll tape up and I’ll at least start the race. If I don’t finish, who cares?! And so that’s what I did. And you know this? I did it. It wasn’t very pretty, and it wasn’t very fast, but I did it. 11h36m, so under the 12 hour limit, and with no flare ups of any kind! 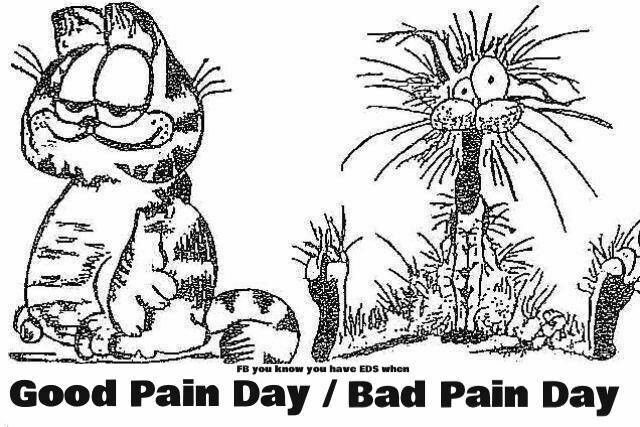 Of course, my legs, feet, hips, toes, back, shoulders, stomach and ribs hurt like hell…but it was the good pain! Before this, I’d done just one marathon, two halfs and two 10k’s. Racing isn’t something I do lots and lots of – I’ve got horses, and weekends are usually filled with show jumping competitions. But from trial and error (and error and error…! ), I now stick to a tight schedule, I take my rest days, I eat, I do my stretches, and I know it’s possible to do a 55 mile race on less than 40 miles a week, with only a handful of really long runs! Ultra running isn’t some elite, super-human sport. It’s learning to get up at 3am, eat aÂ lotÂ of food, talk unashamedly about toenails and body fluids, slow your pace to something you once consideredÂ tooÂ slow, and wholeheartedly accept the ‘good’ pain (breathing into it helps!). For me, it’s also been about finding out my body’s natural weaknesses and learning how to support them. Rocktape has undoubtedly helped with that as far as physical weaknesses go. Along with correct strengthening exercises and good trainers, I’ve changed the way I actually move.Â For long runs I still tape my knees, shins and ankles but this is preventative now. The aim of the Everest Marathon still stands and I’m raising money for veterans’ charity HorseBack UK – which is the same type of cause as Combat Stress. My next challenge will be the Ben Nevis Marathon, another ultra! Thanks for reading this excessively long blog post, and happy running!